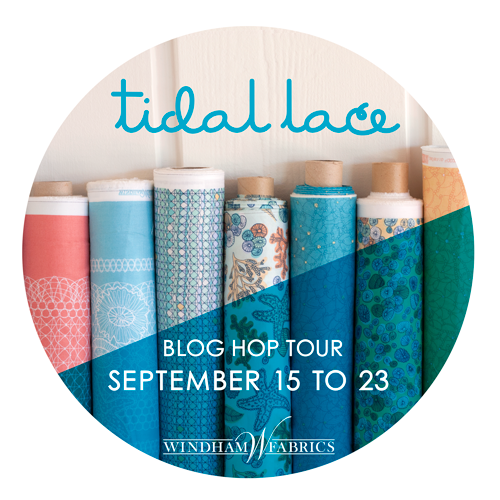 Join Tidal Lace designer Kim Andersson and her sewing ninjas for a blog hop full of inspiration and giveaways! 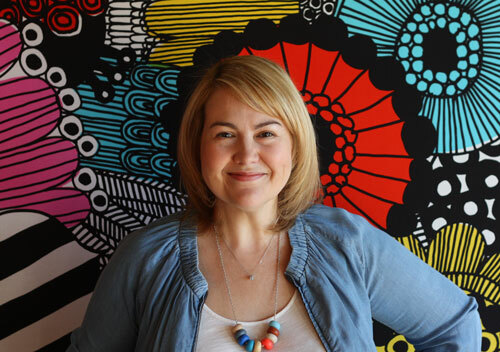 It all begins here on Kim's blog! Click over now. Leave us a note to tell us what you would do with Tidal Lace to be entered to win our bundle! If you needs inspiration, check out Kim's fabulous lookbook here. 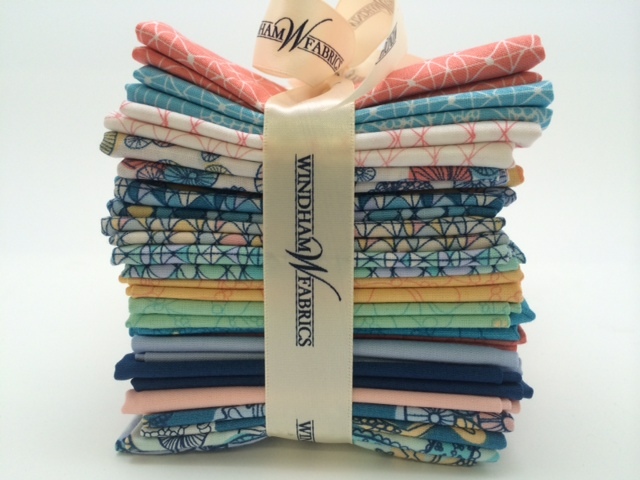 So many possibilities…..tote bag, table toppers, quilts, just to name a few. I think these fabrics would make the most precious Weekender Bag to take to the beach! For sure I would make a quilt — this time it would be for me instead of giving it away. I would make a quilt for my son. He did a surfing when he was growing up. Now he’s turning 50 years old lives a long way from the beach but a quilt of this fabric would take him right back to some wonderful childhood memories. Love this fabric and would make outfits for my granddaughter! I would make a Double Irish Chain quilt. Would love to make the sun dresses and matching hats for my three granddaughters. Love the colors in this fabric. I would make a quilt for my daughter. What beautiful fabrics! I can see a lap quilt and a tote from them! I will make a handbag and a lap quilt. Thanks! I would definitely make a summer quilt with it and maybe be nice enough to give it to my sister who has a beach house on the Outer Banks. I have been collecting Beach fabric for a quilt. Would loveTidal Lace to the mix! Beach lap quilt for the rv sounds great! I would love to make the Sea Star pillow. My daughters would love it! I’d make a quilt for our family’s lake house! I would love to make the hairclips for my daughters! Loads of beautiful projects! I would make a baby quilt for my baby boy! I would definitely make some bags with this beautiful fabric. Thanks! I would make some beachy throw pillows for my room. I have a new little niece. I’d love to make a beach blanket for her, to accompany her on all of her beachy adventures. I would make some giveaway baby quilts with this gorgeous fabric. After seeing all the gorgeous quilts and projects in this blog hop, I’m dying to make a beach quilt following at least one of the quilts pictured. What beautiful fabric. Thanks so much for the hop, it has been a real pleasure. I love the starfish pillows, and all of the quilts! These fabrics are amazing. I would use these lovely fabrics for a plus quilt. Thanks for opportunity to enter giveaway. Such a lovely fabric line. I would make a quilt for my “away” daughter who is studying to be an oceanographer. I would love to make a throw quilt for my mom, who loves all things beach-and-ocean. And hopefully have enough scraps to make myself a cute QAYG bag. I would use the fabrics for mini art quilts, with lots of embroidery and beads. Beautiful colors!Kids would love it! My daughter lives in San Clemente, CA on the beach and I would love to make this quilt as a gift to her!